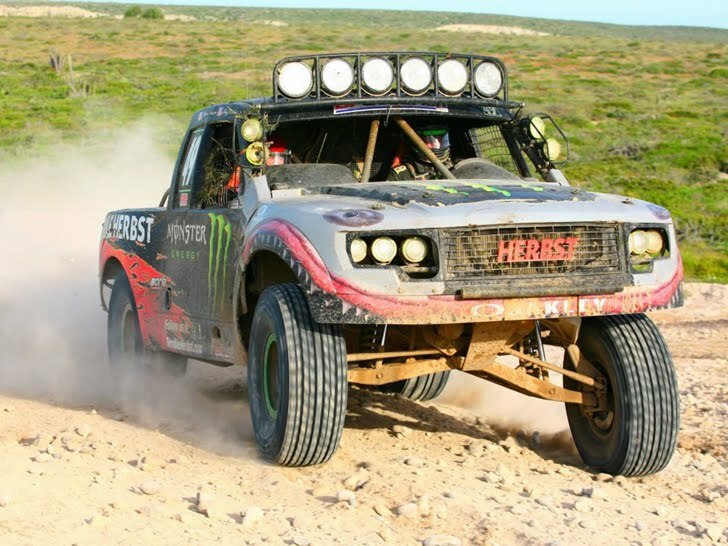 Ryan Arciero, #49 Trophy Truck, finishing fourth in class and fourth overall four-wheel vehicle. Arciero drove start to mile 615. Troy Herbst drove to the finish. O-tone Ryan Arciero: This team doesn't ever give up and that's why I love being a part of the Terrible Herbst Motorsports team. Troy (Herbst) did a fantastic job. He got stuck in the mud toward the end but he was giving Tavo (Vildosola) and B.J. (Baldwin) a run. He was chasing them down and I would rather have him doing that, trying to chase them down, than finish third. The Terrible Herbst Motorsports Trophy Truck ran great all day long. It was incredible. We started so deep in the field. The start was so tough. We gave the truck to Troy and we were the third physical place. My hat is off to him and the team. They never gave up. They spent 40 minutes trying to dig themselves out of the mud and got a flat after that and still chased these guys down.